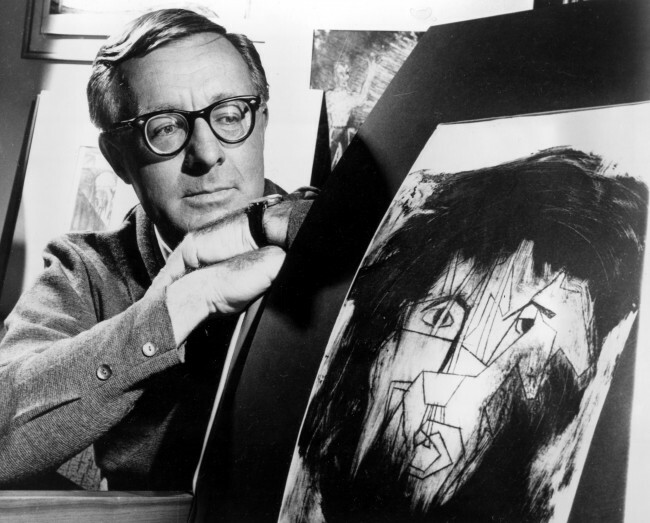 This Dec. 8, 1966 file photo shows science fiction writer Ray Bradbury looks at a picture that was part of a school project to illustrate characters in one of his dramas in Los Angeles. Bradbury, who wrote everything from science-fiction and mystery to humor, died Tuesday, June 5, 2012 in Southern California. He was 91.